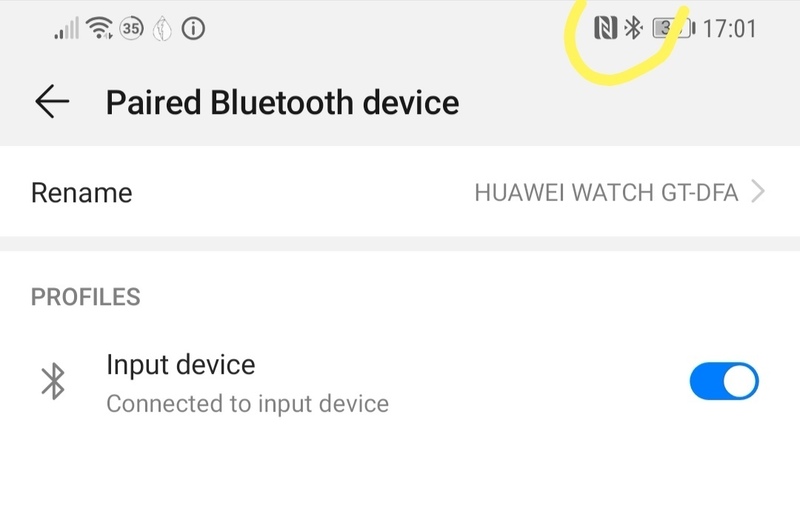 I've noticed that by default the Huawei Watch GT has the "input device" Bluetooth profile enabled. As far as I know that's normally used for devices such as Bluetooth keyboard, I've never seen it used on a smart watch before. 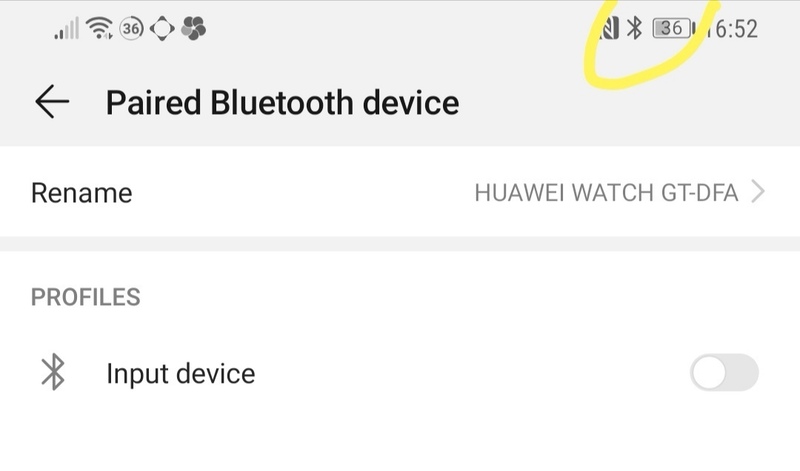 As per screen shot when this is enabled the Bluetooth icon shows as connected as if to a headset. Again every smart watch or fitness band I've ever used doesn't display a constant active connection like this so I'm wondering if it might drain the battery quicker keeping it enabled. Anyone understand this better than I do I would be grateful for your insight because it's bugging me! The bluetooth connection and pairing of the Watch without the official app will appear as input or headset. Regardless of the pairing identified, the consumption remains the same but please bare in mind that any bluetooth connection will increase the normal consumption of the device compared to not having any such connection active. Thanks Max, makes sense. What I don't understand is what difference keeping the 'input device' profile enabled or disabled makes? Doesn't seem to do anything at all apart from when I disable then the bluetooth icon on the status bar doesn't show a connection (normal for a smart watch) but all the features seem to still work. Maybe the input device profile is for a future feature update? Not a problem Poxona. When you toggle it off some functions of the device have their permissions restricted. True it dose not interfere much since it will request permission and prompt the phone for them re-enabling the connection, but it will have a delay due to this.